So, we all know there are some optimization problems (mainly the fact that we're restricted to a single core), and talking with people around i heard quite a lot of bugs and/or problems people encountered that were caused by the current version of unity VRChat is using (even i found out a bug that could actually be abused ingame, and is already solved in recent versions of unity). So since 2018.1 is close to be officially released it would be nice to have a version upgrade of VRChat, and it would bring new ways to optimize the game (like the new job system), resolve some bugs, and users may also have some fun with cool shaders using the new built-in node editor without the need to spend 50$+ for assets like shaderforge or amplify. It would benefit everyone from both the user side and the dev side. To be clear, we wouldn't ever upgrade to Unity 2018.1. It isn't an LTS. We didn't want to close the Canny as that isn't really accurate.. and completing it isn't great either. @Chris B: LTS means there may be new updates to Unity 2017.4 in the future to address crashes and other issues (past updates are listed and detailed at https://unity3d.com/unity/qa/lts-releases). 2017.4 is a big jump forward from 5.6 as far as features and improvements go. This is the closest we'll get, but this is better. It has (basically) finally happened. I can't believe they did something about it, this is amazing! Does that 2017 LTS version improve the multicore use, though? Since it's what concerns everyone the most. I do hope that's the case though, as when I play with VR on VRC the framerate has a few random hitches here and there, and sometimes the game itself would freeze for a bit. Didn't happen with any other VR game I have (constant 90 fps) so it probably wasn't a problem on my end. @Demirramon: Unity states that the LTS version will not have any new features, API changes or improvements. im already getting rumors devs lost source code for it that's why its not easy to update it how much is that true i dont know. One of my friends told me the same thing, must be true. I Just have to say, VRchat's Unity is ancient compared to its competitor... HighFidelity. If they don't update their Unity version like.. NOW, they are going to be left in the dust. Its literally "Update or Die" right now. There are no updates for the public, and no notices of progress. @Cibbi: Yes, and No. You see Unity is merely a script operator. If you build your own engine from scripts you still need an operator to run it (the most simplistic are just known as Compilers). You can build scripts that connect one another, while ignoring the Unity engine interface just fine in Unity. Its not uncommon to use a program like Unreal or Unity to draft a baseline concept to see if something works, then translate that over to custom code, or to transplant the free libraries from Unity etc, into the system if they appear useful. HiFi is essentially a Hybrid platform. @Catty Boxer: ehm, no. HiFi is not made in unity nor unity has anything to do with it, they built up their engine from scratch, and that's also why some stuff there feel really barebone right now. If you use an engine to see if a concept works, and then move out of that engine, then is not made in that engine anymore. Want an example? Take kindom hearts 3, initial stages of the game were made inside their luminous engine (the one they used for FF XV), but then they switched to unreal later in the development process, does that mean that now KH3 is an hybrid? No, is in unreal. ...but GitHub would disagree with that blanket statement. This would be a godsend, because from a consumer standpoint, if the game runs better without throwing more hardware at it, it's a win situation (the performance gain will be more beneficial to players using actual VR systems) and from a game design point of view, it would allow for more complexity in most models, and rigs. However, from a programming standpoint, this would take a while, because as most people have already pointed out, there are script calls that are deprecated in the latest version of unity, and it's not just a few scripts here in there, the fundamental memory manager is entirely different between 5.6p1 and 2018.1, for starters the latter has support for the latest APIs, and ways of offloading graphics to the GPU, not to mention with these new APIs it can use modern hardware for years to come (like how 2018.3 might have proper support for DXRaytrace). all in all they might be doing a skeletal development alongside main development, where there's one team that works on the simple stuff, like easy to do feature suggestions, or even fixing up bugs. While the other team is actually building up VRChat to work more efficiently, and make massive updates. I do not sure if vrchat want this to happen. If it does, it means every single world currently available in vrchat will be broken and the creator have to start again, might be from begin. @Dao Le: The advantages outweigh the disadvantages in most cases. Updating the Unity version will cause frustration at first, sure. We experienced this when they updated from 5.3.4 to 5.6.3p1, but even then it came with a lot of advantages. With Unity 2018 you can expect better performance as I'm pretty sure the new Unity versions like 2018 take advantages of multi core systems more / use them more efficiently. The built in node editor and job system in Unity 2018 would probably help things out too. Heck, it might even fix a few bugs or security holes within Unity 5.6.3p1. While I agree that the VRChat Development system sorely needs an upgrade to the current builds of Unity, the Last time we migrated from build 5.3.4p1 to 5.6.3p1, avatars and the like became broken or no longer worked properly as intended, even after migrating and re-uploading to the newer Unity build. This fact should severely be taken into consideration that any content you previously uploaded may no longer work as intended even after migrating due to incompatibility issues and may lead to frustration for many, MANY content creators. This has to be done, honestly. Just because we are three years behind when it comes to optimization and resource management. How is not being able to use multiple CPU cores acceptable at this point? @Demirramon: It isn't acceptable! I've been told VRC uses multiple cores, just not effectively. I'm pretty sure newer versions of Unity (like 2018.1 for instance) utilizes more cores better. they excuses they give are that everything would be lost and have to be reuploaded, and everything including shaders- would break and have to be updated. Seeing as we're getting a Safety update soon, that will help alleviate performance issues by filtering out things you don't want to see, or things that may cause performance issues, I think now would be a decent time to acknowledge updating Unity to 2018.1, or at last some insight as to what will be happening going forward. I think what we need now more than ever, is performance updates. The Safety update helps a little, but it's still pretty harsh. I get that it's not entirely VRChat's fault though, as a lot of players could stand to learn how to optimize their own avatars as well to alleviate some performance issues. Perhaps VRChat could even have a world in which players can go and view Tupper's videos on how to optimize avatars. The portal could be where new users spawn in, or in the HUB. It would help immensely. The game is absolutely fun and immersive... when it's not lagging. A performance update would also push people out of private worlds and into public ones more often, especially with the Safety update, so that they can meet new players without the worry of immense lag or trolls trying to crash or overload the world with absurd avatars with crazy particles and such. Hey look, another thing that the devs are already working on that they're probably just going to ignore because of their inability to communicate with the playerbase, keep it up! @GV-97: Yeah its really disgusting, Best thing to do would be to leave as much feedback as possible on this thread and get everyone you know to spread the word out to upvote this thread. We can only wait for now. The game runs absolutely horrible and the engine is in need of a desperate upgrade. Hopefuly a dev will soon stumble across this thread and realise how much we need this. @Chris B: I'm sure at least Tupper has looked at this thread. I mean hey, in the past he suggested using DX12 or Vulkan as the graphics render library. This NEEDS to happen. The developers need to actually care about a big chance. They respond to stuff like "Change the color of the loading screen" but not this. Come ON guys! I've tried loading the SDK in newer unity versions, and the only real issue is a few scripts use outdated commands, so that would take some time to re-write yes but it's still worth it. I'll keep fighting for this until the developers actually speak up and tell us why they are staying in the dark about this. Then I'll be happy. @Asdfguy86: small things can be done by one person but upgrading engines is a huge and difficult task, the security holes and compatibility issues that come with the upgrade are a big risk, they need to polish and protect ot before it comes to the public. @Foxx: I'm not saying they should make the switch within a week, they could take as long as they wanted. I think (or hope) the VRC Dev team is not just one single person as well. Security holes, not too sure about that one, but compatibility issues at first makes sense. Trying to use the newest version of Unity with the SDK does throw up a few outdated argument errors. The devs should really think about an upgrade of unity, and if the reason they do not want to do the upgrade is that it will make all the old maps and avatars stop working then they should take a look at there stats and see that the majority of people only use around 10 maps. Sure people check out new maps when they come out but how many actually trawl through the old maps looking for worlds to visit. As long as the devs make sure say the top 100 maps are upgraded for the new version most people will not notice the difference. As for avatars again most people get new avatars all the time and most other avatar builders will just upgrade there avatars to the new version as long as it is not to hard to do so. The theme of vrchat is New, New worlds, new avatars, new experiences and new friends. This should not be stopped for a fear of losing the old. Lastly it does not have to be a sudden switch. Give say a 6 month period where you have both the old vrchat and the new vrchat running side by side. But you can only upload to the new vrchat. Let everyone have a chance to see the old worlds and avatars then when they are satisfied move to see the new worlds and avatars on the new version. If you have not ported over your world or avatar in six months then its left behind. The new version will soon be filled be filled with new worlds and avatars and everything will be back to normal by the end of the six months. @Jason: That's sorta kinda what they did back then for the switch from 5.4 to 5.6. So if peeps kept up with the 5.6 version, it was a pretty seamless update as they already had their stuff ready to go on the newer version of unity by the time the big switch was finalized. @Jason: Yeah it needs to happen... Dev's don't seem to give a dam. Funny because they say that game performance is their top priority... yeah right! Last time VRChat upgraded Unity version, all worlds and avatars were lost and had to be uploaded again. That was just from 5.3 to 5.6. It seems likely that something similar would happen with the upgrade to 2018.1. @Poplopo: Honestly, as tedious as it'd be to reupload my stuff, I'm rather fine with having to do that. @Darn Hyena: Totally agree with you. @Poplopo: Honestly, I'll take getting all of my avatars wiped in the switch to unity 2018. VRChat freezes so much when i use my VR headset (probably due to it's extremely poor multi core use), and the advantages of upgrading are obvious throughout. @Poplopo: That's a risk I'd be willing to take. Nuke the servers and update Unity. I bet most people have their avatars in their computers anyway, and would just need to update accordingly, as needed. A small hit for a massive improvement is warranted, I feel. @Foxx: Sounds great! somebody should let them know. Please update the game engine, It would help progress the game so much! Could we please get some upvotes on this, I would highly apprecitate it. Share with other friends and tell them to upvote this aswell. This. Make this your top priority. We are lagging behind. @Ero Sensei: Agreed! The developers need to wake up. Upgrade VRC to the latest Unity. I'm going to make one last post before I completely shut myself away from this site and it's development team/community. I'm tired of playing a game that is massively out of date with the latest technology. I feel as though this game is inching closer and closer to being 10 years old, when it's not. Performance on all levels are just completely garbage. The game doesn't utilize the CPU correctly, I do believe it doesn't even use multi-threading currently, or it does but not very well. The game doesn't even use the GPU/GPU's to their fullest extent. I see these posts about upgrading to Unity 2018.1, DX12, Vulkan etc. All the latest technologies out there, yet are not being used. I don't doubt that they are considered, I just feel as though the DEV team or whom ever is in charge of keeping the community informed, isn't doing a great job in telling the community/player base of what they are planning to do with the game currently. I know there is a roadmap, I know there is a feature list of planned, in progress and completed. However how come there isn't a post about specific requests, where the admins/dev's post their opinions on the topic or at least let the community know what they want to do with a specific request. I've given up on attempting to help the dev team test the current version of VRC or the open-beta versions. Reason being, they don't show any improvements to VRC as a whole, instead it is focused on FEATURES. This team of DEV's are in between being called lazy, and being called active. Sure they are focusing on adding in features that the player base requests, but what about those more difficult requests such as DX12, Vulkan and latest unity version. Where is the dev team on these requests? How come there hasn't been any posts about these requests made by the DEV team/admins. Why are we kept in the dark about this. Stop focusing on features and work on the game. It's about time VRC has seen a massive change. I do see the changes in networking and changes for dynamic bones, and all these other optimization changes, but that won't make any difference if we switch to a newer version of unity that can utilize DX12, Vulkan and multithreaded CPU's. Maybe even SLI if done right. Please just work on the game itself, and not requests. If we're going to swap versions or use Vulkan/DX12 shouldn't we know about this and have a test version out? WHY, is what I want to know. I had asked a question in VRC discord general chat about CPU only rendering testing, GPU only rendering testing, then CPU+multithreading only rendering and so forth. Yet no one answered. Not even the active chatters in the discord. I notice the ranked members in the discord do chat every now and then but never stay long enough. I don't care about upvotes, I don't care about comments. I am making this post, because I'm simply done with how this game is being treated. I would gladly support the dev team if they show that they are willing to make a change. So I guess this is goodbye for now VRChat, Canny. 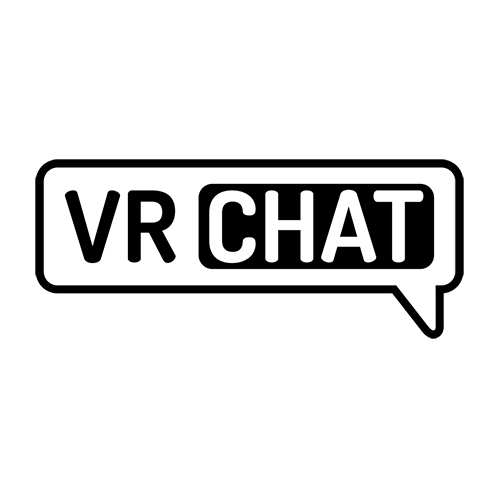 May we see each other when VRChat is in a better place. One thing I want to know is, how come they don't have a test version of VRC for this. I'm tired of having bad performance because of the lack of updating. Stop working on all these new features we don't need, and update the game already. @Mt Mtarq: You said it! I would like to think it would be a good idea to upgrade to the latest Unity version, redo the SDK and VRChat features from the ground up when given the opportunity. I’d imagine the developers of VRChat have gained a greater understanding of methods in which to fix bugs. Perhaps they can come up with a strategy that if they had to redo the entire VRChat system/mechanic, they would have a greater understanding of how do things in a more secure, functional, and optimized way. Moreover, it would be great to keep the old system still usable so that people don’t lose their old data if possible, but to upgrade to the latest Unity version, I’d imagine the current unity version has upgraded their tools extensively since 5.6.3 with greater networking features, animation tools, particle tools, and everything else. I also think an upgrade will update the system’s sound issues and perhaps VR skeletal issues, and perhaps even provide new methods to tackling bugs along with providing new security. The biggest plus here being multi-core CPU usage, since a (very good) 4, 6, or even 8-core CPU is currently bogged by the single core speed. @Dylan Caravieilhes: because everyone's content would have to be added again. @Lhun: As annoying as it'd be, I kind of feel like it'd be a good thing too, give the games servers a fresh start again, who knows how much junk is left behind in the servers during that 20k peek at the start of the year. Also the last time when they upgraded to 5.6, it was in a open beta aswell, giving ya plenty of time to adapt to the change when the wipe came so you could just simply reupload all ready to go. - 3 years of new features. - GPU lightmapper (really really fast). - The new rendering pipeline making it easyer to make a scene look good with presets (like unreal engine does by default). - Particle GPU instancing (Huuuge performance increase for particle systems). - All the improovements from 2017 version as well. @migero: They would be silly not to make the decision eventually, Most of the technical issues would be resolved not to mention the endless amount of improvements/benefits. I'm sure the developers are looking into it and maybe even testing it right now. The new unity, if optimized for windows 10, x64, threaded, dx12 or vulkan, with native libraries for OpenVR, oculus, and AMD and NVidia, LiquidVR and VRWorks integration would absolutely have a monsterous effect on the performance of VRChat. It would be literally night and day. There are side effects, like many scripts requiring reworks, some shaders may require replacing, and many worlds might require updating and whatnot. Would it be worth it? Absolutely. I would say the best way to resolve this disconnect would be to release the update as a separate client that people can choose to use knowing that some old assets may not work. This would give people time to update their assets that do not work in the new client. They need to rip the bandaid off and either go to 2018.1 now to be on the cutting edge when new hardware comes out this year, or, go to 2017 final at the very least and resign it to that version forever. @Lhun: For sure. This would make VRChat run a lot better for many systems, since then the engine would be taking advantage of the system's hardware more (like actually using multi cores, for instance). @Lhun: Agreed! The game would benefit heavily from a engine upgrade. @Lhun: Agreed on that. However, because NVidia are stingy d1ckbags with their software there's a good chance you would have to pay a license for VRWorks, much like you have to with the GameWorks engine. LiquidVR on the other hand is open source and can be made compatible and highly performant on NVidia hardware, so that would be a good route to take. Especially if you throw in Vulkan support. DX12 doesn't capture very well so I would advise against using it unless it's easier to implement for VR than Vulkan. Making VRChat run on Unity 2018 would be AWESOME. Thing is, I don't know if it would be a seamless switch or if the game would have to be re-coded from scratch or not. Either way, the single core use could be a problem for older systems that utilize having dual or quad cores, just to have them not used. With the utilization of multiple cores would probably make this game have more potential in the performance area. And the bug fixes given by unity 2018 would help too. @Asdfguy86: It should be as easy as downloading a patch. We're not changing the engine here, it's still unity based. @nhentai: Awesome. Hopefully they do eventually upgrade to Unity 2018. @Cibbi: For sure. Especially since currently VRChat only using one CPU core is likely a big factor of why people have been experiencing performance issues, and a new Unity would (hopefully) make the game more optimized and run smoother on high end systems as well as run better on lower end systems that aren't single core. @Asdfguy86: I say keep the old Unity version compatible, but switch to the new and latest version of Unity. @Asdfguy86: I totally agree! Hopefully the developers will look into this very soon! @TheMrTorbi: yeah, it literally gone free 3 hours after i wrote this. @Cibbi: But shader forge is also extremely outdated and outclassed by amplify and unity's own shader editor.